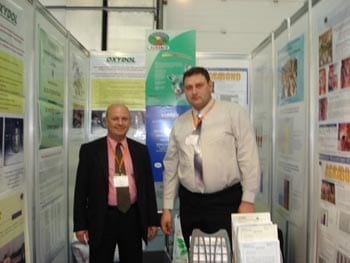 Today at 10 am, VIV Russia, the exposition which covers animal production and meat industry, opened its doors to local and international visitors attending the show at the Crocus City Exbition Center, located at the intersection of the Moscow City Ring Road and the Volokolamsk highway, not far from the Sheremetyevo International airport. At the opening Mr. Jime Essink, CEO of VNU Exhibitions, organizer of the exposition, welcomed all attendees and inaugurated the exposition. Some of the Russian facilities linked to the complete chain of meat processing are outdated, and urgently need an approaching to the newest technologies worldwide. And that is where VIV comes in. In its role as the nation's platform on animal production and meat processing, VIV Russia showcases the industry's developments by the Feed to Meat concept. Feed to meat brings together supply and demand within the complete animal protein chain. It is our pleasure to invite you to the 3rd edition of VIV Russia, which covers all aspects of the animal production and meat industry. 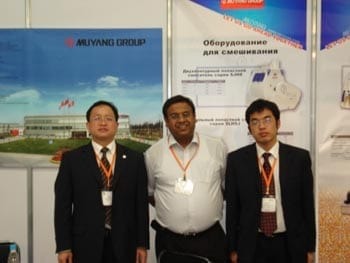 From May 21 to 23, Crocus City Exhibition Center is Moscow is the meeting point for Russian professionals in the animal production and meat processing industry, and 300 international and Russian exhibiting companies. VIV Russia 2007 doubled in both exhibition space and exhibitors count compared to its 2005 edition. Besides that VIV Russia will be bursting with activities, innovations and new trends and a specialised seminar program. This all makes VIV Russia 2007 the VIV show of 2007 where Feed to Meat for pigs and poultry can be seen at its best. Consumer attitude and behavior towards food is rapidly changing on a worldwide scale. There is a strong focus on health issues including healthier food. The demand for convenience food products, in smaller ready-to-eat portions, is on the rise. Consequently, the importance of delivering fresh and safe meat products with an extended shelf life is increasing. Packaging is becoming more important in the selling process; fresh foods should be conveniently packaged and easy to store. Animal production and processing is facing a difficult time. After mad cow, classical swine and avian influenza, consumers are sceptical and want guarantees about the meats they eat. Meat safety can only be guaranteed if every step in the meat production chain is carefully monitored and controlled. Meat producing and – (further) processing companies adapt and improve their production processes to meet the demands. International food quality institutions developed standards for quality assurance and secured traceability. The trend is towards systems that cover the entire food chain from primary production to finished products: from feed to meat. And that´s where VIV comes in. In its role as the nation's platform on animal production and meat processing, VIV Russia showcases the industry's developments by the Feed to Meat concept. Feed to meat brings together supply and demand within the complete animal protein chain. The driver behind the chain concept is that animal feed and animal health are vital for meat quality and safety. 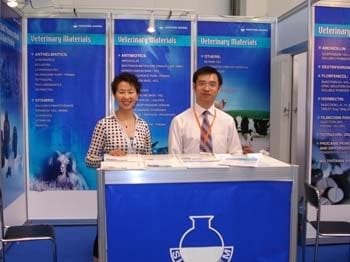 VIV Russia wil represent every step in the meat production process. Related topics will be featured in the VIV Russia Conference. Meat safety is a global business - it´s your business! If you want to expand business to Russia, don´t miss VIV Russia! 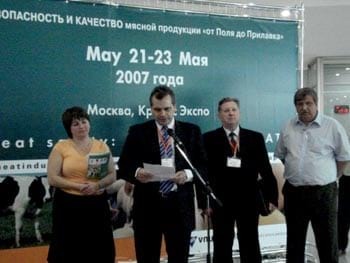 VNU Exhibitions Europe and Asti Group are pleased to announce VIV Russia 2007, the 3rd international exhibition for innovative animal production and meat processing. 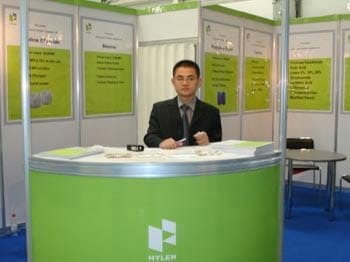 The first two trade shows in 2004 and 2005 proved to be a resounding success. More than 200 exhibitors from 23 countries presented their products and services to approx. 4,600 quality visitors from 41 countries, like Russia, the CIS countries and others. Both exhibitors and visitors have expressed that VIV Russia is the new platform for the industry. VIV Russia covers the Feed to Meat concept. Feed to Meat brings together supply and demand within the complete animal protein chain. The driver behind the chain concept is the principle that animal feed and animal health are vital for meat quality and safety. Every step in the meat production process will be represented on the show floor as well as in the VIV Russia Conference Program. 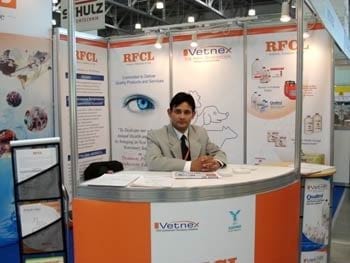 VIV Russia is the integrated product showcase that serves your needs. Visitor registration for VIV Russia is now open! CLICK HERE TO REGISTER FOR FREE AND EASY ACCESS!!! We look forward to see you at VIV Russia 2007!